Daylight vision. The Bi-Xenon headlights from Volkswagen. Something wicked this way comes. Nice. I like this campaign, but there are some Photoshop problems with this one. The perspective and contrast looks 'off'. This one is the best of the 3. I like this one best out of the 3 since the other two are somewhat goofy looking. 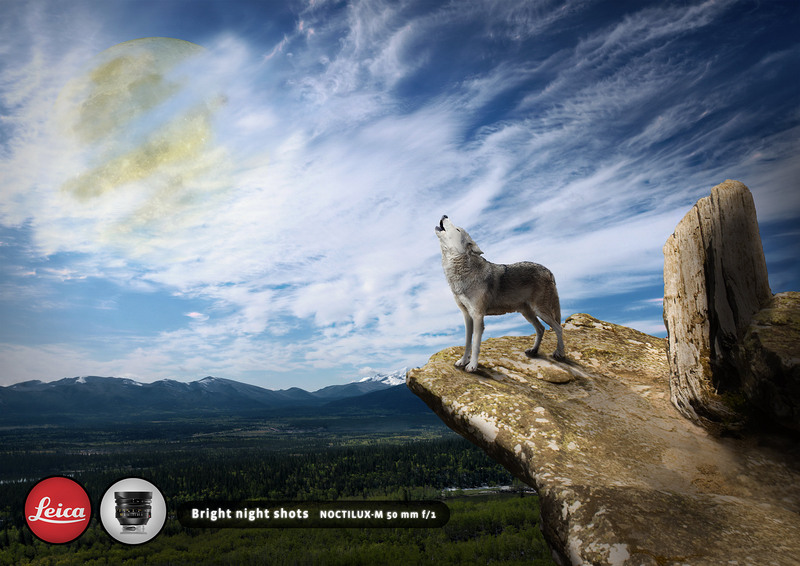 Also, wolf is the only animal out of the three with improved night vision that's based on sight alone. Geezes flip through discovery or animal planet once a while if you don't read books. No wonder why! Good catch.